You are here: Home / Featured Photo / Happy 2016! 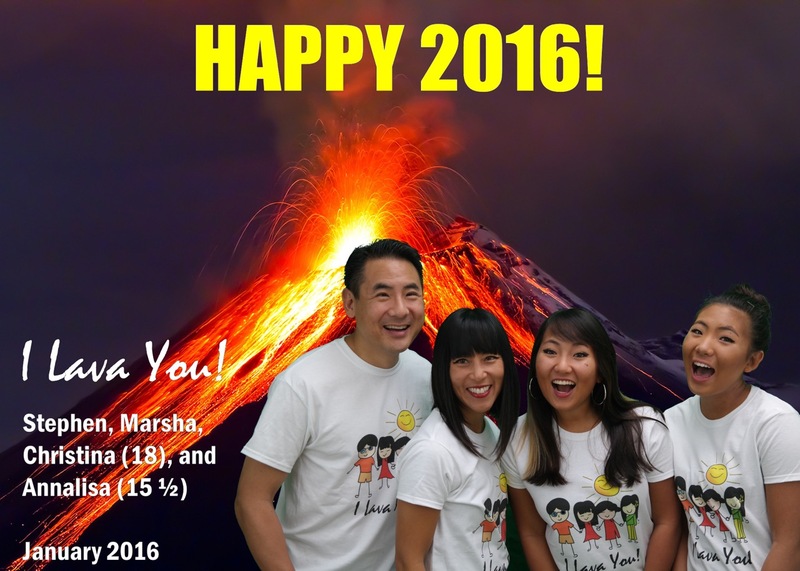 Happy 2016 from the Pao’s! Thank you so much for your overwhelming response to our preview trailer back in November! Unfortunately, production of the feature length 2015 video came to an early and abrupt end due to unforeseen filming complications. The studio is looking at a new release date of November 2016! In the meantime, Stephen and Marsha celebrated their 20th wedding anniversary. Christina is waiting to hear from colleges. And Annalisa made All-League and All-CCS teams for water polo. Take care, stay healthy, and keep in touch! What?!?! No annual video????? I have to wait an 11 months! 🙂 Suspense is going to kill me!